Poole, Dorset, November 30, 2018 – Ibcos Computers Ltd., a leading business management software supplier for agricultural, groundcare, and construction dealers, is pleased to announce that four of its customers received the prestigious Service Dealer Award during the ceremony held at the Oxford Belfry Hotel in Thame, Oxfordshire, on Thursday, November 15th. 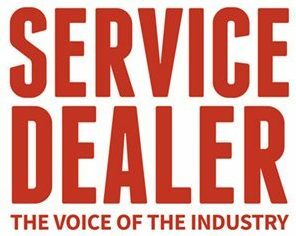 Service Dealer Awards, first presented in 2003, honour the best agricultural dealers in the industry, with the Award winners being selected by a judging panel from nominations submitted by dealers, manufacturers, and suppliers. Service Dealer hosts the Awards ceremony annually on the same day as its one-day conference where participants can network with their peers, learn new best practices and have some fun. This year marks Service Dealer’s 30th Anniversary. This year, Ibcos was also the event’s network sponsor. The team had a stand in the main hall during the conference, where everyone gathered for reception, coffee breaks, lunch, and post-conference refreshments. Following the conference, the Ibcos team joined everyone else at the Awards ceremony to honour all the winners. Ibcos continuously enhances its business management software based on the suggestions from its customers to ensure they always have the tools they need to succeed. Those who wish to learn more about Ibcos can do so by visiting its official website at www.ibcos.co.uk. For the past 39 years, Ibcos has helped agricultural, groundcare, and construction dealers manage their businesses successfully with Gold, a powerful platform based on industry best practices and standards. Gold has earned its reputation as the number one recommended dealership management software, providing single and multi-depot dealers with a consolidated business overview. With Gold, dealers can make better decisions and predict future outcomes based on real-time data.